It’s hard to know where to stay in Bangkok and finding family accommodation in Thailand’s vibrant capital is harder still. We’re hunting for the best family hotels in Bangkok at every price point, budget guest house, hostel, mid range hotel and luxury resort because we travel all ways. 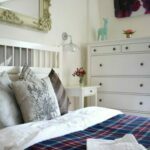 Many hotels cater for singles and couples, but we’ve searched for the best hotels with family rooms or suites, tried many and can share our reviews and recommendations here with you. We’ve found the hotels with the family facilities and the family-friendly establishments from budget to luxury. 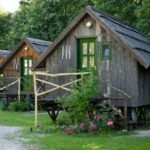 We list family-friendly hostels that have private family rooms here too, they are often a good choice and there are a couple that we use regularly for short stopovers. Modern hostels can be swanky and up-market, don’t rule them out. We also include some of the best 4 and 5 star hotels and resorts that cater to kids and families. 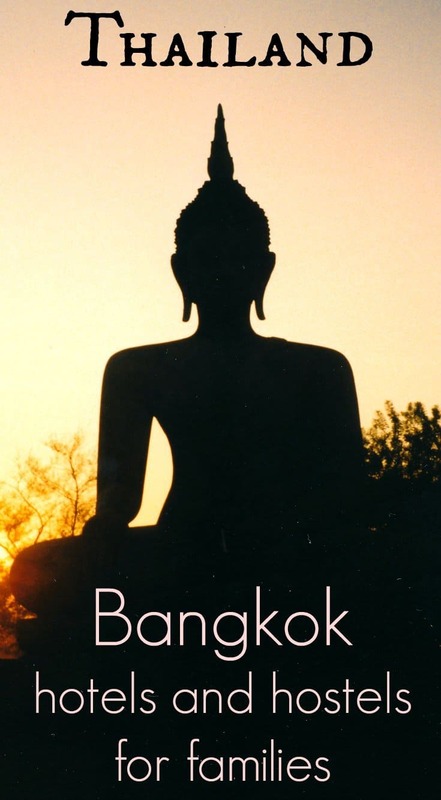 We travel to Bangkok often, so this page is constantly updated with new finds and new hotels. JUST IN! SUMMER MID SEASON DEAL- 15% DISCOUNTS FOR BANGKOK FOR OUR READERS. CLICK HERE. I know no other city as spectacular as Bangkok, everyone should see it in their lifetime. A round up of family resorts, hotels, guest houses and hotels in beautiful Bangkok. Near Kao San Rd. Area, Bangkok, Close to River, Palace and Wats. Room for 3-4 people. When the children were younger this could involve a 1 child stays free deal in a triple room, these days we need 4 beds for our family. 1 child stays free deals can go up to 10-12 years, but around 6-8 is the usual upper limit. 1 room or apartment with 1 or 2 bedrooms. Having the children in another room down the corridor just doesn’t work and feels unsafe, always go for a family room or suite. A good location. Either within walking distance of main attractions and dining or near the river and the water taxis. We rarely use the BTS, it doesn’t go to the locations we are interested in. Metered taxis are very easy to find and very cheap. Tuk tuks are usually more expensive but do take a family of 4 plus luggage. Good Wi-Fi. Essential for all of us. Included breakfast is a nice luxury to have if the breakfast is good, otherwise a street breakfast is easy and cheap to find. Air-Con. Going without air-con in Bangkok is possible, we’ve done it, but most would rather pay a little more to be comfortable. Not too much noise. We once slept next door to a club, never again! A private bathroom is nice, but many hostels have shared facilities. If these are clean, modern and good, that property makes it to our list. A good reputation. Yes we look at scores and reviews, but we know how to spot the fake ones. If we see credible people commenting on dirty rooms or bad wi-fi, (worse still bed bugs, but these are incredibly rare, we’ve had one experience in 4 years of travel and it wasn’t in Thailand) we won’t go there. Be aware that a lot of reviews on Trip Advisor, Agoda, Booking, Expedia etc are fake. You have to use some judgement on which to believe. Agoda are the Asia specialist booking site and we use them regularly with great results. Because they are local they tend to have a wider range of properties and can source good deals. You should also check Hotels Combined , this is a hotels comparison website, they will find you the best deal for a hotel across multiple websites. They do not check Agoda so you must always check them separately. Booking.com work fine for Bangkok too, but we would tend to use them more for Europe, they often have fully refundable deals if that is what you are looking for. What to expect to pay? You can find a family room, of a decent standard from just under $50/ night. At this price you probably won’t get breakfast and a private bathroom would be a bonus. On the ground, on foot, you may find cheaper but for the peace of mind of booking in advance, this is about the minimum. Obviously the sky’s the limit, prices go up and up to thousands of dollars per night. The properties I’m including here go up to around $500/night for real luxury stays. You will find lower prices outside Bangkok, for example Kanchanaburi or Chiang Mai. 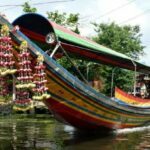 If you ‘re touring Thailand with kids you absolutely must spend a few days in Bangkok, don’t think it’s just a big city revolving around shopping, there are a million fascinating, cultural and fun things to do here. 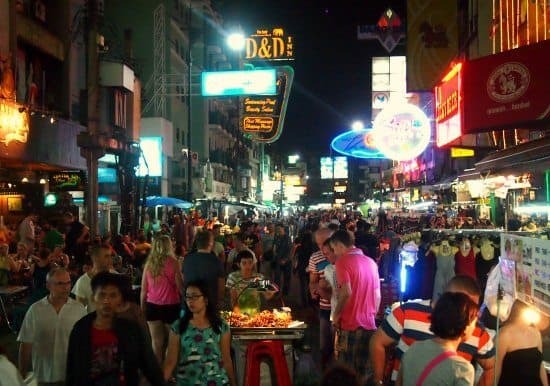 The Khao San Rd area is a great part of town, even for families, with easy access to all of Bangkok’s big attractions by tuk tuk or river taxi. This has been a favourite area of Bangkok for a long time, for singles, couples and families. To be in the thick of the action just steps from the iconic Khao San Rd and within easy reach of the Chao Phraya river and water taxis, Rambuttri Rd or next along, Thanon Thani are for you. Both streets run parallel to Khao San. This area is loads of fun for kids and adults in the early evenings, it’s just buzzing with fun and you’ll never go short of food or shopping. Later at night it can get too crazy for kids. It’s very much a love it or hate it sort of place. My family loves it, it’s an aspect of Thailand you have to experience. Even without the vibrant activity on Khao San Rd, this is a good area to be based for exploring Bangkok. The 3 of us stayed at Rambuttri Village Inn. The fish pond in the off-street courtyard. Rambuttri Village Inn has a rooftop pool, a swanky new extension, an inner courtyard with fish pool and is affordable. We had a room for 2, 1 young child stayed free, but they don’t have rooms for 4. Older families can book 2 rooms. Step out of the door and you’re immediately in throng of food stalls, street vendors and restaurants but because Rambuttri is set back, there is no street noise that I recall. Check Prices and Availability for Rambuttri Village Inn & Plaza on Agoda here, on Hotels Combined here. Check Prices and Availability for The Secret Service on Agoda here, on Hotels Combined here. This small hotel, a few doors up from the Secret Service scores 7.9, again free WiFi. Again around $50 but sleeping arrangements my not be ideal for you, bunks and 3 singles, one child under 12 shares and stays free. Check Prices and Availability for The Rang Kha Min on Agoda here, on Hotels Combined here. This place, Shanti Lodge, is our new budget favourite on this side of Bangkok ( and this is the part of Bangkok we’d recommend). It’s a proper, backpacker’s guest house, beautiful, well run, spotlessly clean and with bags of charm. It’s on a quiet street just steps from a river jetty and next to the flower market. Walking to Khao San Rd. takes about 10-15 minutes depending on you. We love it! We had a room for 4 people, 1 double, 1 bunk bed and it was the cheapest place we’d stayed for a long time, under $40. We also took 2 twin rooms, side by side. These were way more ” budget” in feel, shared bathroom, and cost slightly less. The shared bathroom/showers are the cleanest and most pleasant I have ever seen. This is the one we’ll use from now on when we’re passing through. This one is a little further away but still in walking distance of Khao San Rd. It gives you breakfast and two double beds. It’s probably too far to walk to the river from here for kids, but a tuk tuk would be easy. It’s a little more expensive at around $60. Check Prices and Availability for Sourire at Rattanakosin on Agoda here, on Hotels Combined here. We love this place! So beautiful, so stylish, fantastic breakfast and perfect location. The Old Capital Bike Inn is an absolute gem. The family suite is divine, breakfast is superb and the location is perfect. It is within easy walking distance of Khao San Rd area but in a much more up-market street with good food options. It’s also close enough to walk to the river. If you’re looking for amazing, quirky decor, a touch of luxury and an old Bangkok feel, this is one to try. They also ofter complimentary vintage bike tours of the old town area. The Old Capital Bike Inn have a selection of rooms and suites for honeymooners and families. Breakfast is included. This one costs around $180 /night for a very special family suite. We picked this one for a birthday treat, it exceeded our expectations and Jason, who runs this hotel, is incredibly helpful. A full post on this hotel is here. Check Prices and Availability for The Old Capitol Bike Inn on Agoda here, on Hotels Combined here. I can’t find anything in the Khao San area with 4 beds and a pool. 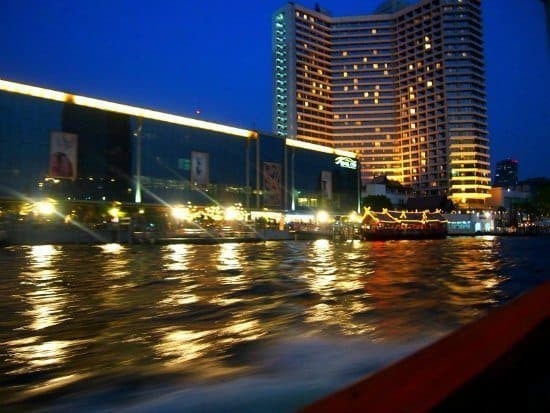 The stunning Bangkok Riverside by night, you’ll find plenty of large, luxurious hotels along the Chao Praya river, but which are the best family hotels and best areas of Bangkok to stay in for people with kids? The stunning Chao Phraya River river is abundantly supplied with large 5 star hotels, often with rooftop pools or bars, some of the most prestigeous and best family hotel Bangkok can offer, are here. Family suites and family apartments are common in these family-friendly hotels. Chatrium Hotel will only cost you just over $100/night for a family suite with 2 bedrooms. That’s great value! Pay a little more here for stunning river views and breakfast. Check Prices and Availability for Chatrium Riverside on Agoda here, on Hotels Combined here. If you’re looking for a luxurious riverside 5 star at a higher price point, the Lebua at State Tower will give you a stunning 2 bedroom executive suite for under $400. This one is in Silom, near the BTS and overlooking the river. 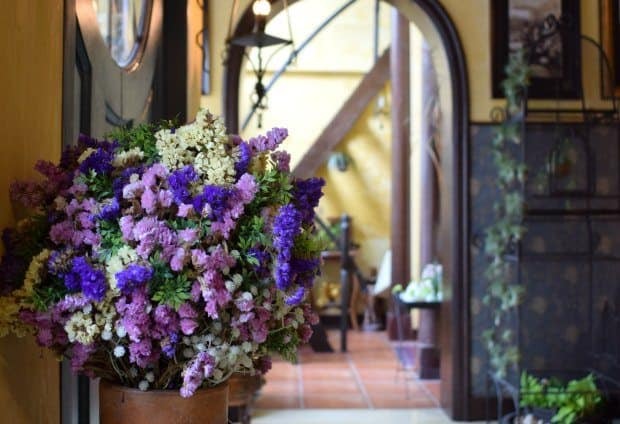 A dream of a hotel! Check Prices and Availability for Lebua at State Tower on Agoda here, on Hotels Combined here, on Booking.com here. If you want to avoid the modern tower blocks, this traditionally Thai, but modern, luxury hotel is for you. Again, it’s right on the river and has any number of pools, restaurants and bars. A 2 bedroom family suite with breakfast comes in at just over $500 at Anantara Riverside . 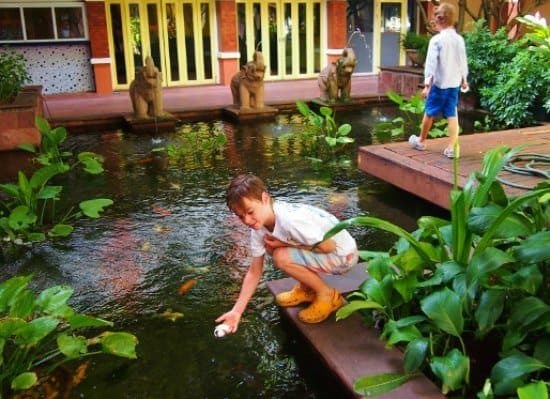 This one has the full “wow!” factor and is arguably the best family hotel in Bangkok. Check Prices and Availability for Anantara Riverside on Agoda here, on Hotels Combined here. Close to the Palace and Wat Pho ( the reclining gold Buddha, my kids’ favourite Wat) is Chinatown. The Feung Nakorn Balcony will give you a Grand Suite for 4 people with breakfast, at just over $100. This is another place that we really like the look of, it’s design and good food reputation make it one of the properties we will be using during our coming Bangkok trip. Check Prices and Availability for Feung Nakorn Balcony on Agoda here, on Hotels Combined here. A stunning Hindu temple in a street corner in Silom, Bangkok. 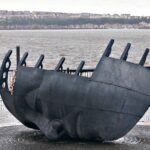 There are a number of good family friendly hostels in this area. 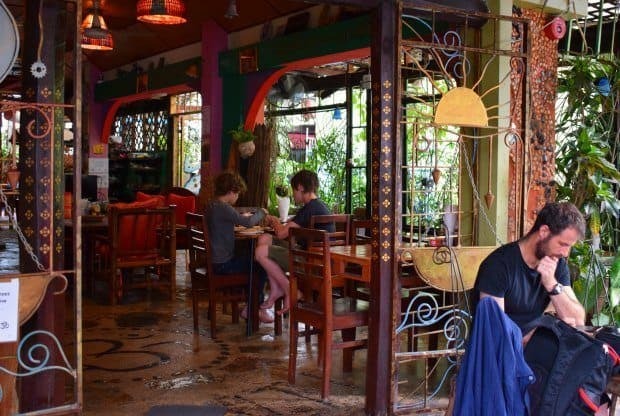 We often stay on this side of Bangkok these days, partly because we like this hostel ( Mile Map Hostel ), partly because we like the atmosphere and reduced tourist numbers, making street dining more of an authentic experience. The BTS and river taxis are nearby. We have a full post on the advantages and disadvantages of staying in Silom in: Where to stay in Bangkok? Try Silom. Family rooms at Mile Map Hostel, Bangkok are clean, modern and functional, along with relatively cheap. We use this hostel often for Bangkok trips. Mile Map Hostel has 4 bed family rooms, with shared, immaculately kept, modern showers. There is a kitchen and plenty of areas to sit, relax and enjoy. It’s a nice neighbourhood, plenty of authentic, cheap street food and a magical Hindu temple on the corner. Walk to the river to get water taxis to the big tourist sites or Khao San Rd, they’re dirt cheap and lots of fun. There are good vegetarian food options nearby and lots of coffee shops. Check Prices and Availability for Mile Map on Agoda here, on Hotels Combined here. 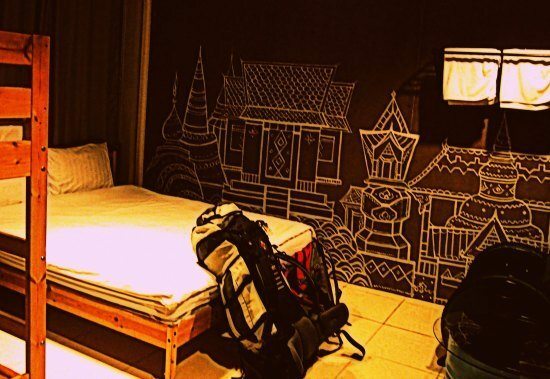 $-$$ Mile Map Hostel, Silom, Bangkok modern, functional 4 bunk family room, very clean. 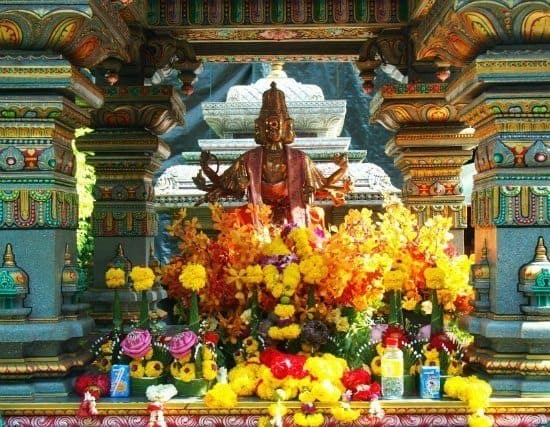 Back to our main travel in Thailand page for more information on Thailand vacations and travel in and to Bangkok. As I said above, we travel to Bangkok often ( over 20 times now) and each time we like to try a new family friendly hotel as well as returning to our tried and tested favourites. 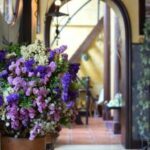 We hope you find our information on the best family hotels in Bangkok useful and enjoy your stay in this incredible city. I stayed at Sourire at Rattanakosin Island Hotel last year on my holiday trip. It was a nice experience. Thanks for the list. Now, I have a few more good options to stay. 11 is a great age for a mum and son trip. I love having 1 to 1 time with the boys. Have fun! Bangkok is the perfect mixture of nature and city life. Just loved it. We stayed in Shanti Lodge. They provided excellent service. Also, the breakfast was delicious.Thanks for the post. Anantara Riverside Resort is the best resort I have ever visited and the place is also serene and calm. I had a wonderful experience staying in this resort. Thanks for a really well written and detailed guide. I personally loved the Anantara Riverside Bangkok resort, looks absolutely stunning as well as tempting. That place surely is on my bucket list. Thanks for the Article, Keep sharing. Bangkok is an awesome travel destination and these suggestions for hotels are very helpful and practical! Thanks for the great recommendations! Nice inspo for Bangkok, particularly for families on a budget. My 13 year old has just got fashion conscious, he’s refusing to wear Crocs, dammit!! But he’s quite happy to wear Wellies instead, go figure! Yes Crocs are undoubtedly the best shoes for tropical travel in Thailand on kids. Cheers! We stayed at Rambrutti House, which is right in the middle of Rambrutti road, mainly because my brother was staying there and we were meeting up with him. It was clean and central, and has rooms with three beds pushed together which was perfect with two kids, but pretty atmosphere free. Next time, we will check out some of your recommendations. The photos are stunning! I’ll pin it for when we start our Asia tour!